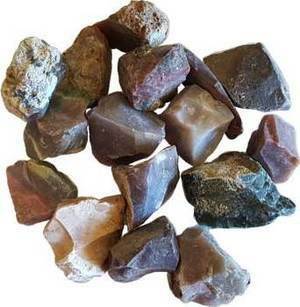 Fancy Jasper is an untumbled stone, also referred to as Rainbow Jasper or Multi Colored Jasper, it is believed to be an overall balancing steady healer, ecspecially for the overactive mind, it inspires one to work through issues not to get caught up in worry. It is also believed to rejuvenate one's creative power. 3/4"x 1/2" - 1" x 2".